We’ve been home for about a week now and regular life has rushed back in. At times while we were away we felt that four months was a bit long, but looking back now and as we’d predicted it seems that the time was a brief snippet. Sure, getting back into the rhythm of school and flow of life here had an adjustment period but it’s already flashed by and we’ve fully integrated ourselves. It’s as if we never left. We’re forever changed by our experiences, though, and it’s those new selves that we bring to our daily lives. Since formal homeschooling didn’t go as frequently as planned we felt the need to summarize our experiential learning for the sake of the teachers, an exercise in accountability. We learned that there are lots of different types of money around the world. Although they’re all in the form of coins and paper bills they’re very different in other ways. The sizes vary a lot as well as the decorations on each item. Sometimes people (leaders of the country) are pictured on the money, and sometimes plants, animals, or buildings are represented. The most important difference, though, is the value of each item. We learned that what the money is worth changes all the time and sometimes our US Dollar (USD) is “strong” and sometimes it’s not. This means that in certain parts of the world the USD buys more per dollar than in other parts of the world. This is a hard concept to grasp but we tried to understand it by buying a similar item in many different countries. Here’s what we found by purchasing a simple pack of gum in several different places. It was fun to look back occasionally and see what the outside temperature was back home in Minneapolis. Everywhere we went they used Celsius so we did a quick calculation to convert it to Fahrenheit. We were told the formula is not exact but gives us a rough idea of the conversion. We would take the Celsius temperature, double it, and then add thirty. So if it’s 10 degrees Celsius, we’d double it to make 20 then add 30, making it 50 degrees Fahrenheit. After awhile we had a better idea of what the Celsius reading meant. In fact, it makes more sense to us in some ways because the freezing point begins at zero, compared to the freezing point of Fahrenheit at 32 degrees. We started out in New Zealand, which was 19 hours ahead of Minnesota. We quickly got used to converting the time by subtracting 24 hours then adding five. So if it was noon on Thursday in New Zealand, we’d go back 24 hours to noon Wednesday but then add 5 hours, making it 5:00 p.m. Wednesday in Minnesota. Each time we’d travel to a new time zone we’d find out how far ahead of MN it was then come up with a new quick formula. Also, many places we went used a 24-hour clock so we got used to learning that 18:45 actually meant 6:45 p.m. and so on. We learned that different countries have different types of leadership. While the U.S. has a president elected by the American people every four years other places have kings, queens, prime ministers, emperors, etc. Oftentimes countries have more than one of these and they lead the country together. Sometimes the leaders are in charge of the government for a shorter set period of time but occasionally they are in their positions for many, many years. For example, in Thailand the current king has been reigning for 70 years! Also, we discovered that religious and military influences are sometimes a stronger part of government than others. 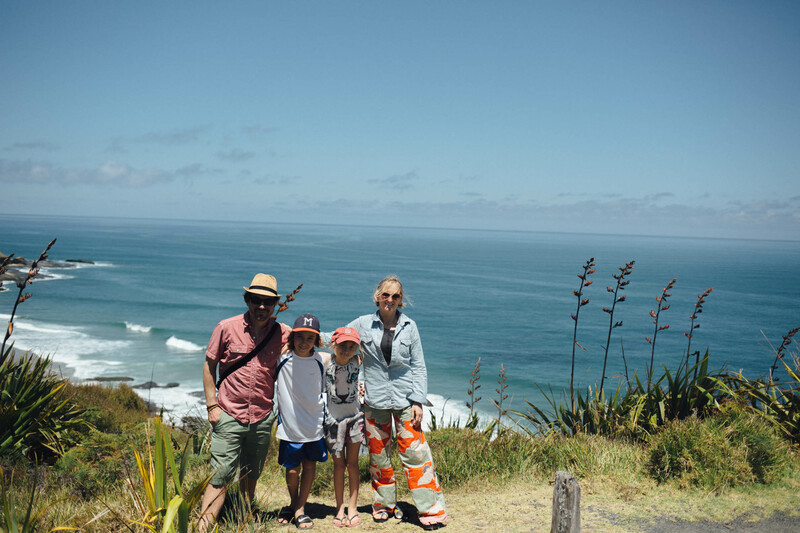 We “swam” with dolphins in New Zealand. Actually we didn’t even get in the water (air temp was way too cold!) but we did see some dolphins swimming around and playing near the boat. They are very intelligent and social animals that are comfortable with human beings. We walked among massive Kauri trees in the Waipoua Forest in New Zealand. These trees can grow to over 150 feet tall and live to 600 years old! We saw lots and lots (and lots and lots) of sheep. In fact, New Zealand has over 39 million sheep – almost 10 sheep per person living there! A lot of the world’s wool comes from this beautiful country. We toured a sheep farm and learned about shearing sheep and how dogs help work on the farms. We toured the sets of the Hobbit Trilogy, Harry Potter, and The Sound of Music movies and discovered a lot about how movies are filmed. We learned how they create sets and scenes that look old and industry-tricks that make characters seem much bigger than they really are. We soaked in hot springs while learning about geothermal pools. These are pockets of warm or hot water that are heated from the earth’s inner core. They are rich in minerals so people like to soak in them for the health benefits. We visited Maori villages and attended a Maori ceremony and war dance. The Maori are the native people of New Zealand and have a rich and thriving culture in the country today. We rolled down a small mountain in a “zorb” – an air-filled ball with an inner cavity for people to ride in. This was an exercise in risk-taking, and was very fun! We toured caves that were full of glow-worms. The cave ceilings were lit up with thousands of tiny lights – the worms glow as a result of a chemical reaction in their bodies. It’s a process that’s intended to attract insects for them to capture and eat. We visited an urban bird sanctuary for many of NZ’s endangered birds. We saw tiekes, kakarikis, and kiwis! We toured an area that had been devastated by an earthquake just a couple of years before. It destroyed an old church and other buildings. We discussed the financial aspects of rebuilding, especially in an area that’s prone to future earthquake activity. We spent a day at the Antarctic center and learned about Antarctica. We saw penguins, rode in an all-terrain amphibious vehicle designed to traverse the frozen continent, and saw an actual indoor blizzard! We saw and put our toes in a glacial lake. Its water was so blue, a result of fine particles in the water reflected by light. In this same mountain town we attempted to go to a midnight stargazing observatory. Unfortunately, though, the tour was cancelled because the wind was too strong. We visited fjords, a beautiful inland part of a sea surrounded by high cliffs. We hiked to a glacier, sadly much smaller than it was even 20 years ago. Climate change is shrinking it a lot each year. We took a Japanese cooking class and learned how to make sushi, miso soup, and egg rolls. We attended a traditional Japanese tea ceremony and an origami class taught by a well-known origami artist. We visited many temples, churches, and ancient religious sites in New Zealand, Japan, Thailand, and in many countries in Europe. We attended a Thai dance ceremony with traditional Thai food. We also went on a dinner boat on the Chao Phraya River through Bangkok with traditional Thai food and performers. We learned that people everywhere value and appreciate art. It seems to cross language and cultural boundaries and is a language that everyone “speaks”. We visited lots of museums including a windmill museum, a Salvador Dali museum, chocolate museum, Venice Art Museum, The Louvre, the British Museum, a marionette museum, Beatles Museum, ancient Roman Baths, the Roald Dahl museum and many, many more! We walked through and toured the grounds of about a dozen castles ranging in age from a few hundred years old to over a thousand years old. We made medieval soap in a castle using herbs, oats, and lard. We saw the Mona Lisa, Michelangelo’s David statue, the Rosetta Stone, the Mildenhall Treasure, Stonehenge, the Notre Dame of Paris, the Eiffel Tower, Prague’s famous Charles Bridge, the Arc de Triomphe, the white cliffs of Dover, the amazing cliff villages of Cinque Terre in Italy, the Venus de Milo, the canals of Amsterdam, the Nuremberg Courthouse, several scenic overlooks, the Leaning Tower of Pisa, several buildings designed by Antoni Gaudi, and the birthplace of Mozart as well as a few pianos he played on. We walked among dozens of tame deer, fed horses right from our hands, had a flock of pigeons land on our arms, and hiked through a forest with four large elephants walking along beside us. We also went into a stream with the elephants and helped wash them by dumping buckets of water over them. We saw lots of other animals, gorgeous waterfalls, volcanoes (including Mt. Fuji in Japan), various seas & oceans, rivers, canals, beautiful trees, flowers, and other plant life. Wow, the world has so much natural variety! We rode buses, trams, subways, “regular” trains and a bullet train, tubes, boats, airplanes, a helicopter, gondolas up mountains, a luge back down the mountain, car ferries, bicycles, carousels, Ferris wheels, and a few double-decker buses. And, of course, we walked hundreds of miles!! We visited a lot of war memorials so had lots of opportunities to discuss war and generally how people treat each other. It seems that lots of the world’s wars have been about religious freedom and territory. We also discussed terrorism in the world today. We saw examples of the effects of this in the many heavily armed guards outside of major tourist attractions. On the long drives, we practiced magic tricks, the Rubik’s cube, paper folding, and taught ourselves various photo-manipulating and movie-making software. We made a bunch of short movies and created some crazy pictures! Driving through Europe gave us a whole new meaning of the word “old”. Buildings and monuments are often several hundred years old, compared to the relatively new-ness of the US. One (AirBnB) house in France we stayed in was built in 1742! Also Japan had its own special slant on old – it was a magical blend of ancient and ultra-modern. We found that there are lots of different ways to flush a toilet! We had the opportunity to try many different types of foods, including fresh olives right from an olive tree, and discovered some favorites dishes that we’ll make in our home life back in Minnesota. Some of our favorites were Japanese ramen, Spanish paella, Swedish meatballs, French duck Confit, and the pizza in Italy! We got really good at waiting in lines and learned to be much more patient than we used to be. While in Venice, Italy we witnessed civil unrest when a crowd of protestors was retaliating against the Italian government. We were told that it was because the Italian Prime Minister gave France a parcel of the Italian sea without consulting the citizens of Italy. This was really going to complicate things for the Italian fishermen. We toured the Camp Nou Stadium in Barcelona where the great Lionel Messi plays and crowds of over 99,000 people come to cheer the team on! We learned to say hello, thank-you, and goodbye in a few different languages. For example, in Japanese konichiwa means hello and khob-kun means thank you in Thai and in French au revoir is goodbye. We learned a lot about the geography of the world! We can locate and name a lot of the countries of Europe on a map as well as where Japan, Thailand, and New Zealand are found. We learned to pay attention to the subtleties of different cultures and respect these differences. We learned that there are many different ways for people to live and do things and it’s okay if their ways are different than ours. We learned that the people of the world come in many different shapes, shades, and sizes and speak many different beautiful languages and eat different amazing foods. We learned that the world is a big place yet it’s also a small place and that we’re all pretty much alike in the end. Most of us share similar hopes, dreams, and values. Thank you for following our journey. This will forever be a highlight of our lives and we all agree that it was a better choice than the basement renovation that it replaced!